Taking a ride in a limo just isn’t something you do every day. That’s what makes it even more special when you choose to enjoy a wine tour riding in one. Not only can all of your guests travel in the same vehicle, which makes it easier for everyone to enjoy the social benefits of a wine tour, but you can feel like royalty as you enjoy limo-exclusive amenities. Glasses and ice are ready to help you enjoy whatever beverages you bring with you as well as CD/TV/DVD options. Wine tours have become more popular than ever. These tours are ideal for a couple, a group of friends, age-appropriate family, and more. As adults, it can be hard to find events that promote socialization, fun, as well as education. Do you know how to drink wine? Can you taste the various notes incorporated into different types and flavors of wine? Do you want to try different types and styles? There’s a lot to learn on a wine tour and you may just head home in a limo with a few of your favorite bottles. Enjoy the Best of Both! 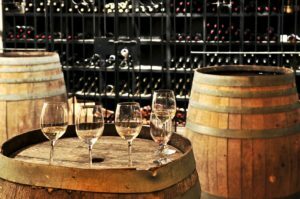 Limo service through a transportation company can help you arrange a wine tour that best matches your needs and can schedule your limo at the same time. Get the girls together for a fun weekend (or even as a Bachelorette party), enjoy a romantic time with your partner… the options are endless when it comes to enjoying a wine tour from the luxurious comfort of a limo. If you are in or around Shakopee, Minnesota, give us a call at 612-239-1019 to reserve your wine tour with luxury limo travel. There are wine tours all around our location, including in Waconia and New Prague. We’d love to help you enjoy a beautiful, relaxing, and luxurious time.